The new CRKT SIWI is a compact, but quite capable fixed blade knife. Columbia River Knife & Tool (CRKT) has introduced the SIWI™ one of their latest knives in the Forged By War® program. The SIWI is a fantastic fixed blade knife with features designed to both appeal to the user and provide greater function. The Forged by War program started in 2013 when Ryan Johnson of RMJ Tactical approached CRKT about his work with returning American war veterans suffering from PTSD. Working to make knives and tools provided a great help to these suffering veterans, and CRKT quickly jumped on board to help. CRKT is no stranger to the BlueSheepdog site, and for good reason. They make high quality knives, with innovative features, and at prices the every-day user can afford. The new SIWI is another great CRKT knife we’re glad to feature. The Forged by War program donates 10% of sales to the veteran charity of the designer’s choice. The new SOG Terminus could make a really great duty knife. SOG has become a popular brand for duty and off-duty knives, with perhaps their most popular knife being the SEAL Pup and SEAL Pup Elite knives. For 2017 SOG has issued over a half-dozen new knives, but the one that has caught our eye is the new Terminus. The new SOG Terminus combines excellent craftsmanship with quality materials for a price most can afford. 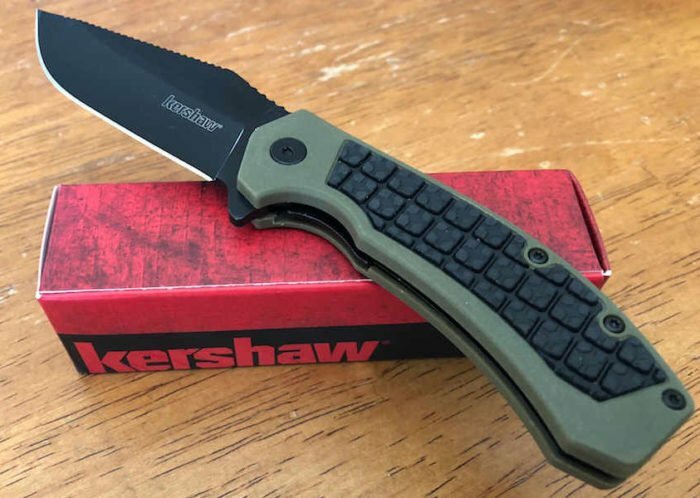 Though I’ve heard some knife aficionados claim that folding knives are “broken” knives, a good street cop should have a quality folding knife to accomplish many street-level tasks. The new Terminus provides a great quality knife and at a price that won’t break the bank!